Welcome to all GP prepaid and postpaid customers to activate GP 200 Minute 113Tk Offer. 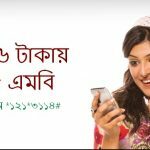 Bangladeshi most popular and number one user-friendly operator GP has come to their valuable daily customers to activate GP special 200-minute any operator talk time only 113Tk. We all know that GP all time brings to their subscribers to enjoy chief rate internet package and low price call rate offer. 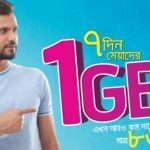 GP is the most popular and number one telecom company in Bangladeshi users for their strong network services. 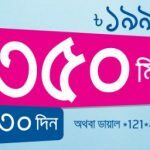 Now GP has announced to activate 200 minutes for all GP to any numbers for 10 days validity. The user who want to activate this special GP 200 Minute offer, just read this full content and follow our instruction. To avail this Talk Time offer, eligible customers (All Prepaid except I-Sim, Flexi Load SIM and BPO) will need to dial *121*4007#. Customer will get 200 Minutes (GP-Any local operator). The validity of the Minutes will be 10 Days and can be used for 24 hours of the day. At the end of the validity period, if a customer has any remaining minutes, it will be forfeited. However, if a customer re-purchases within the validity period, the minutes will be added and the higher validity will be given. Customers need to dial *121*1*2# to know the remaining minute balance. In this above all customers have got more information about the GP 200 Minute 113Tk Offer. If you faced any problem to activate this special minute offer or want to know more, just comment the box. Thanks to all for being here.